This is the seventh in a series of articles prepared by the experts at Lee Enterprises Consulting (LEC) who will be speaking at the ABLC 2018 conference in Washington DC, February 28 to March 2. With respect to Susan E. Hinton for the great title, the economics of anaerobic digester projects to produce biogas and renewable natural gas (RNG) or biomethane as it is sometimes called have dramatically changed in the past few years. The big game changer for financing, profitability and financial returns of anaerobic digester (AD) projects regardless of feedstock is carbon offset credits and specifically California’s low carbon fuel standard (LCFS) which provides a premium for carbon offset credits based on the carbon intensity of a project relative with the greenhouse gas emissions that would be result without the project to produce biogas. Just ten years ago, biogas from anaerobic digesters on a large-scale basis would have an average construction (CapEx) cost of about $33.50 per MMBtu of RNG produced. The revenue source would be RNG sales at about $9.50 per MMBtu and perhaps sales of some or all of the digestate for compost material or fertilizer value at $20 to $30 per ton. The expected return om investment was rarely more than 15% and usually in the range of 7% to 12% for a good project. What this meant for developers was a difficult path for financing the projects if the project was financeable at all. Most of the projects that were built as a result were farm-based projects on a smaller scale where the dairy or farm could use the offtake of either the biogas or electricity and thermal energy from an engine generator to offset utility costs and lower the farm operating expenses. As an electricity producing project from a renewable resource, the project could reap the tax benefits from the production tax credits (PTC) or a one-time payment for the investment tax credit (ITC) for up to 30% of the project costs. Private developers found better projects to invest in that would reap higher returns with lower capitalized expenses such as fuel ethanol. Construction costs for ethanol plants were approximately $1.30 per gallon or about $15.25 per MMBtu basis, less than half of the investment required for a biogas anaerobic digester plant. Ethanol was also a more direct fuel source as it required very little modification to existing engines and was already seen as a replacement for MTBE additives to fuel. Although MTBE additives improved the octane value of the fuel, the emissions were considered far more harmful and impacting to the environment and had serious health consequences as a pollutant, so ethanol was an easier investment as a biofuels project when compared to biogas for compressed natural gas. That was then! This is now, and the new reality is a huge potential for the development of anaerobic digester projects to meet the needs for cellulosic biofuels (advance biofuels) qualifying for category D3 Renewable Identification Number (RINS) or category D5 if mixed wastes from other than cellulosic feedstocks are used. Animal manures have been classified as cellulosic and therefore – if used exclusively or in conjunction with other cellulosic feedstocks such as corn stover, corn cobs, energy crops, etc. – qualifies for category D3 RINS. As a cellulosic biofuel, the RNG also qualifies for certification under California’s LCFS program if the RNG is sold into the California market and used as compressed natural gas (CNG) transportation fuel. Breaking ground with the California Air Resources Board (CARB), a few brave companies including AMP Americas which owns the Fair Oaks Dairy biogas production (Renewable Dairy Fuels), have submitted pathway applications for dairy manure or livestock manure AD projects that produce renewable natural gas injected into the national gas pipeline grid to be used in California as CNG transportation fuel. These projects result in a very low, -250g CO2 eq/MJ and potentially lower, carbon intensity value (CI) when used as a transportation fuel, comparing very favorably to diesel at 90 CI or ethanol at 10. The value of these carbon offset credits is a significant contribution to the revenue stream of a biogas project worth more than the biogas and other co-products combined, and completely changes the economics of financing biogas projects. The combined economic benefit of selling the RNG as a CNG transportation fuel into the California market of the RINs and California LCFS program credits to a medium size dairy of 4000 to 5000 dairy cows or a private developer with feedstock from the dairy can be as much as $10 to $11 million each year over and above the commodity value of the RNG. The estimated capital costs of constructing the AD plant to process the dairy manure into RNG at $12.5 – $15 million is a much more attractive investment now than it would have been 10 years ago with returns as high as 35% or more. Several companies now offer low cost, long-term financing or monetization based on the value of the carbon offset credits making it possible to build an AD biogas plant with very little or no equity required. While the financier will own the carbon offset credits for a period of time up to the life of the project; the developer or farmer still controls the project and owns the RNG and RINs that can be sold. Biogas, as a result, is a viable, financially attractive investment for financiers, investors, and developers. AD biogas projects that 10 years ago were not feasible, providing marginal returns can be built now to fuel the growing cellulosic biofuels demand. The demand for advanced biofuels to meet mandates under the Renewable Fuels Standard in 2022 is likely to be as much as 15 billion gallons more than currently supplied or an equivalent of 1.28 billion MMBtu’s of RNG used as CNG. The Environmental Protection Agency’s AgStar program estimates there are as many as 8200 dairy and swine waste AD projects that could be developed that would provide only 142,000 MMBtu’s of RNG or just 11% of the 1.28 billion MMBtu’s required to meet the RFS mandates. This allows for a great many other waste feedstock projects to be developed as well as continued development and growth of cellulosic ethanol to meet the RFS mandate. With the continued growth of the bio-economy and the mandates of RFS and RPS, combine with carbon offset programs like the California LCFS, there is a need to develop as many of the available advanced biofuels projects as possible and we should look to AD biogas as a relatively untapped source for advance biofuels. For more information or if interested in learning more about the new economics of biogas projects, I will be presenting at ABLC 2018 on March 2nd in Washington D.C. I look forward to seeing you there! 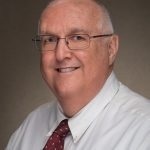 About the Author: Scott Warfield is a member of Lee Enterprises Consulting, the world’s premier bioeconomy consulting group, with more than 100 consultants and experts worldwide who collaborate on interdisciplinary projects, including the types discussed in this article. The opinions expressed herein are those of the authors, and do not necessarily express the views of Lee Enterprises Consulting. Scott will be a guest speaker at the ABLC 2018 Conference commencing on February 28, 2018. The next article in this series is Bob Kodrzycki’s Biorefineries: Our Synthetic Biology Future.